Advertise and promote your Treasure Coast business and/or upcoming events. For a description of services offered and to get started, click here . Entertainment and activities for families and adults. For family fun, festivals, city events, educational events and more, click here . Teens volunteer opportunities to fulfill community service hours for school, activities, entertainment, parties and support groups. Click here . Have an event coming up? List it on SupportStLucieCounty.com free! Your event must take place on the Treasure Coast, click here ! Fun for adults after 4PM. Looking for live music, DJs, comedy shows, and just good venues to party in? Then you've come to the right place, click here ! Game nights, entertainment, volunteer opportunities, special offers and information specifically for seniors. Click here . List your business free with a Free Basic Listing. Up to three lines of text. Add your business card or Ad for just $150/annually. Click here. Story time and S.T.E.A.M. programs at local libraries and educational centers, museum fun, weekly activities and so much more. Click here . 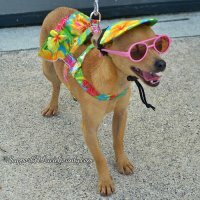 Looking for activities and events, where your furry family member is welcome? From fundraisers, shelters, dog parks, and more. Check the list .